The Queer Tango Project - Congratulations to Buenos Aires! The Festival internacional de tango queer en Buenos Aires celebrates its 10th anniversary this month. We send a big high five to Mariana Docampo, Augusto Balizano and their festival team. Congratulations and happy dancing! As announced in our August newsletter we have started posting pieces of news and articles in Spanish. Our publications at the website are now bilingual in the way that we have create two streams of posts with articles and videos, and it is only the most important of postings which we share in both languages. Olaya Aramo is the editor of the Spanish section of our website. Mariana Docampo: El grupo independiente “Tango entre Mujeres” surgió en marzo (mes de la mujer) del año pasado como un proyecto pensado por Soraya Rizzardini González y Anahí Carballo ... Read more. Mariana Docampo: The independent group “Tango entre Mujeres” (“Tango between Women”) formed last year in March (Women’s Month, 2015) as a project initiated by Soraya Rizzardini González and Anahí Carballo … Read more. 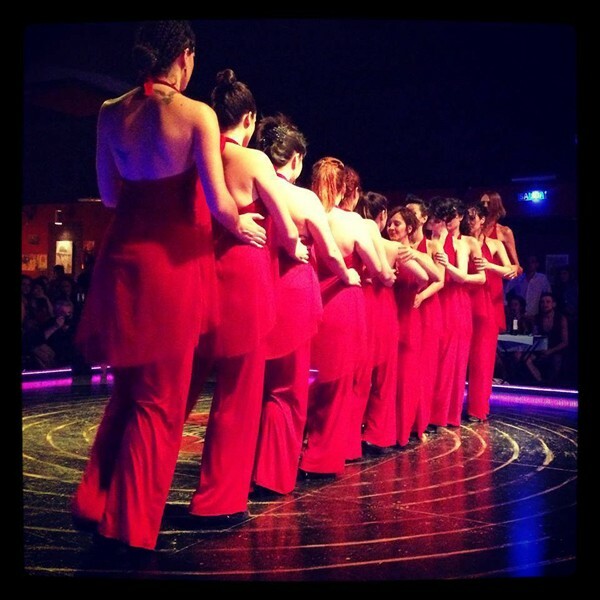 We love this article about tango sisterhood: Ways That Women Help Women In Tango by Mitra Martin. Read more. Edgardo Fernández Sesma: ... My second milestone dates back to 1997. In that year, the first experiences of queer tango took place, or better said what would be known as ‘queer tango’ internationally, which we also call ‘tango diverso’ and ‘tango libre’ locally. Read more. 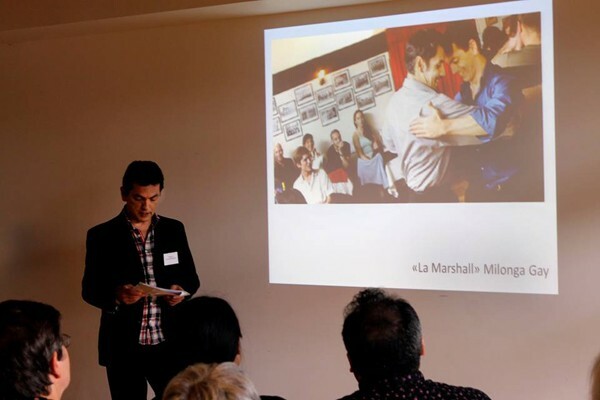 The Queer Tango Salon: Connecting Bodies of Knowledge, Paris 2016 - a Great Success! We think The Queer Tango Salon really was a success! Read more. El Queer Tango Salón. Debate: ¿Qué entendemos por erótico, intimidad e intercambio en el tango queer?/ The Queer Tango Salon. Debate: what do we mean when we speak about intimacy, eroticism and intercambio in queer tango? I thought the Queer Tango Salon was a wonderful to trigger debates and reflect on what queer tango is and more importantly dancing tango queer may mean, personally and socially. What follows is the result of an activity that we carried out during the event with Olaya Aramo with the organizers’ generous permission and the consent and enthusiastic participation of … Read more. tango queer y diversidad, November 10, 2016 at Universidad de Buenos Aires - Facultad de Ciencias Sociales, Santiago del Estero 1029, Buenos Aires. Read more. Queridos amigos, Este año 2016 el Festival Internacional de Tango Queer de Buenos Aires cumple 10 años y lo festejaremos del 14 al 20 de noviembre ... Read more. Dear friends, This year 2016 the International Queer Tango Festival turns 10 and we will celebrate from 14th to 20th of November ... Read more. 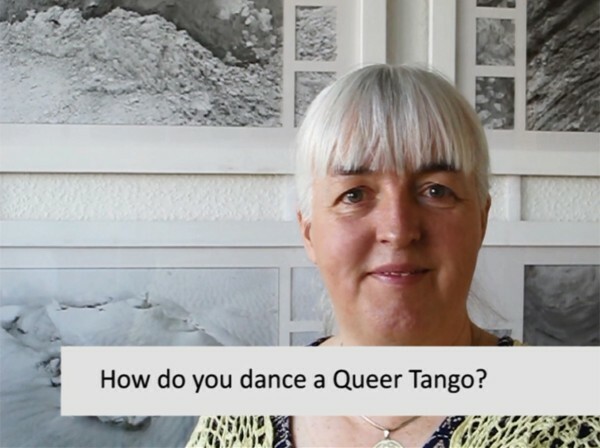 Video (16:10): 'Queer Tango and the other dance styles in Argentinian Tango' is a video presentation by Birthe Havmøller for the 1st Quilombo Queer Tango Festival in Barcelona, Spain, Spring 2016. Read more. Video (2:42): this short film is about Queer Tango in Buenos Aires made by AFP. We see Yuko Artak and Liliana Chenlo AKA Tango Fem teaching Queer Tango. Soundtrack in Spanish. Subtitles in French. Read more. Video (1:14): 'Tango entre Mujeres' choreographed by Anahí Carballo, August 2016. Read more.